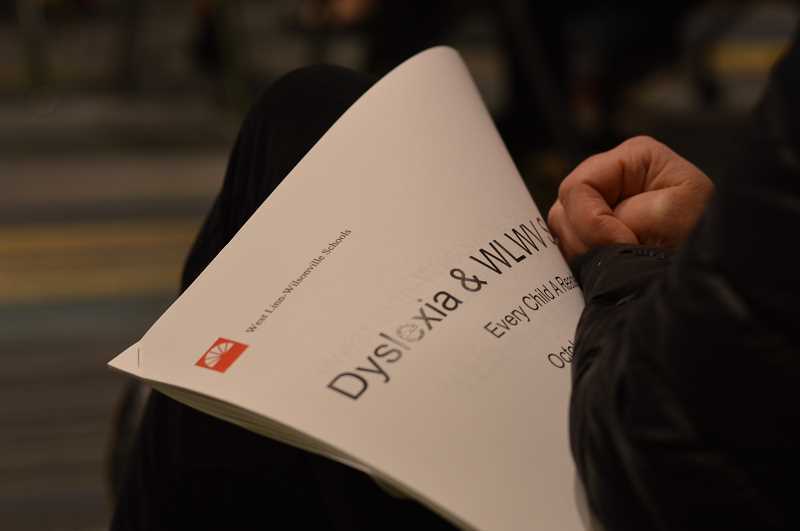 With October now Dyslexia Awareness Month, the West Linn-Wilsonville School District invites families to participate in an informational night where administrators will discuss the impact of recent dyslexia-related legislation. Dyslexia is a learning disability that involves difficulty decoding words. People with dyslexia have a hard time processing language, reading and identifying and manipulating initial sounds in spoken language. "Reading is such a key to learning and when we better understand why a student is struggling in reading, we can get the supports that helps them be more successful in school and help them understand themselves as a learner," said Jennifer Spencer-Iiams, WL-WV assistant superintendent of student services. ed to training dyslexic students. Senate Bill 1003 requires at least one teacher at K-5 or K-8 schools complete dyslexia training. But Spencer-Iiams said the school district has stronger requirements for dyslexia training "so that we can effect better change throughout the district." 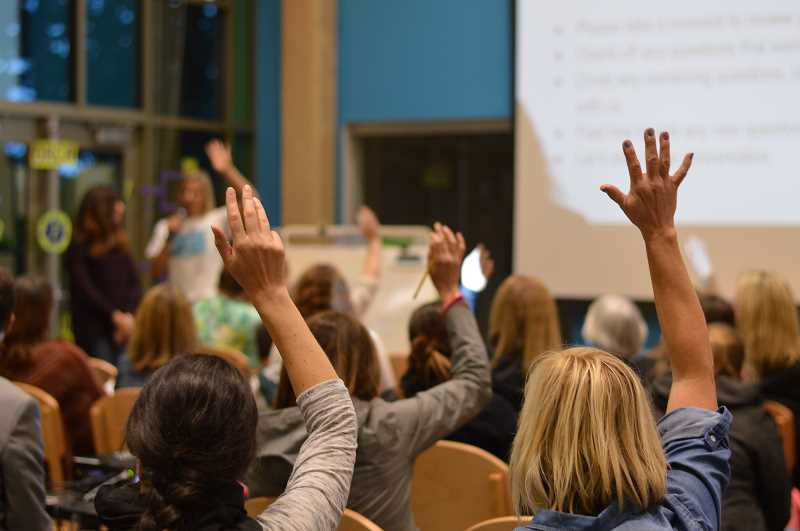 The district requires a minimum of four teachers in each primary school, at least two teachers in each middle school and at least one teacher in each high school attend an intensive three-day training put on by University of Oregon's Center on Teaching and Learning. "The training consisted of three parts. One part was understanding the impact of dyslexia and being able to recognize the signs, symptoms and risk factors of dyslexia," Spencer-Iiams said. "We know early intervention matters a lot in terms of dyslexia and other reading difficulties. The more we are looking early and supporting the child the better." The other two days focused on identifying effective reading instruction for children with dyslexia, and if children are still struggling after receiving support, how to increase the supports. "In our approach to reading, we use a reader's workshop approach, which focuses mainly on the comprehension and love of reading," Spencer-Iiams said. "One thing we know from families in our district is that it's important to them and to us that teachers understand what dyslexia is and that when children are having difficulty with reading that it's not labeled as negative behavior on the children's part, but that children are supported." SB 1003 also mandated that schools screen for dyslexia indicators in kindergarten — or first grade if a student begins school then — starting in the 2018-19 school year. This includes examining family history of difficulty in learning to read — dyslexia is genetic in origin — and determining if the student shows markers for reading difficulty on other measures. Spencer-Iiams said she wants parent input on how best to communicate the results of the screenings to families. "How they would best respond to that notification," she said, adding that administration wants to share information but not scare people with a possible diagnosis because there are many reasons that students might not perform well during a reading test. Last year, the district also purchased audible books to help students who have reading difficulties. "Just because you have dyslexia doesn't mean you can't learn. It just may mean we need to think about those good supports or ways to learn," Spencer-Iiams said. Dyslexia information night will be Monday, Oct. 29, from 6:30-7:30 p.m. at the district office, 22210 S.W. Stafford Road, Tualatin.